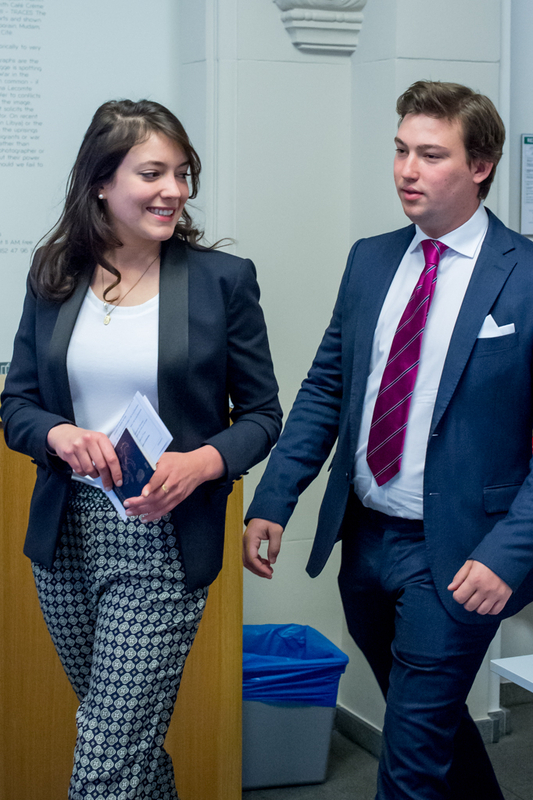 Among those asked to vote were members of the Grand Ducal Family. (Why yes, they do have the right to do so (and excercise it)). 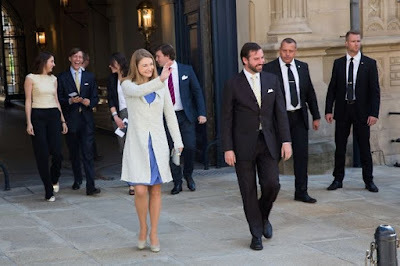 Hereditary Grand Duke Guillaume and Hereditary Grand Duchess Stéphanie, Prince Louis and Princess Tessy, Princess Alexandra as well as Prince Sébastien all made their way to the Ratskeller polling station on a sunny Sunday to cast their votes. I expect that even those who we did not see out and about today gave their votes in some way, some at other polling stations, others likely via postal ballot. Pictures and videos of the day at Wort in German, Wort in French, Wort in English, L'essentiel, RTL #1 and RTL #2. As of now, it looks like the overwhelming majority of Luxembourgers answered all the three questions with 'No'. One should also note, however, that the results are not legally binding but consultative.